After an extensive reading of the related materials, I believe that Basho would say, “It might be better to read my poem (a text) in context.” Unlike modern haiku, “which [are] often monologic, a single voice describing or responding to a scene or experience,” 3 the haiku Basho wrote were mainly situated in a communal setting and dialogic, responses to the previous verses in haikai sequences or to earlier poems by other poets. 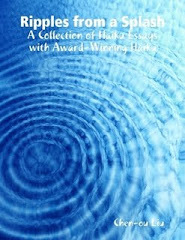 “The brevity of the [haiku] is in fact possible because each poem is implicitly part of a massive, communally shared poem.” 4 And as a genre firmly rooted in the centuries-old tradition, its unabated rigor and cultural richness lie in the haiku poet’s keen awareness of utilizing the poetic legacy and cultural associations. 5 In what follows, I’ll give a generic analysis 6 of Basho’s haiku, hoping that this contextualized reading of his poem would broaden our understanding of some enriching characteristics of Japanese haiku. First of all, at the denotative level, Basho’s haiku simply says that there is an old pond, that a frog jumps into it, and that the sound of water is heard. Semantically speaking, as is typical of haiku, his poem is made up of two parts through the use of the cutting word, “ya:” “the old pond” and “a frog jumps in --/ the sound of the water.” The tension is thus created by the collocation of these two parts: the sharp contrast between the static image of an old pond, evocative of stillness and loneliness, and the lively image of an energetic animal that jumps into the pond and makes the water sound. 8 This tension leaves something for readers to ponder, furnishing both meaning and imagery for themselves. 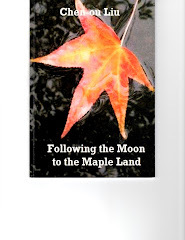 Based on linguistic knowledge of the target language and on literary literacy, a textual analysis of this sort, generally speaking, would give readers a satisfactory pleasure in understanding this poem, but it couldn’t answer the questions I posed above. It’s because there are a lot of poets who write good haiku that leave something unsaid for readers to ponder, and because I don’t see any differences that would be made if Basho changed “frog” to any other amphibian creature or any creature that can dive into a pond. Buson’s poem, a parody of Basho’s, could be read as a commentary on the pitiful situations of the haiku community of his day, adding its voice to the centuries-old dialogue between Japanese poets and their predecessors. This allusive characteristic of Japanese haiku has still been absent in most of English language haiku that put great emphasis on the “haiku moment”20, which means “here and now.”Maybe it’s time for us to learn from Basho while greatly praising his haiku. After all has been said, I would like to conclude my article with a tribute poem to converse with and show my respect to masters and their works. 1 See Hiroaki Sato, One hundred Frogs: From Renga to Haiku to English, New York : Weatherhill, 1983. 1st ed. In the book, he presents a collection of over one hundred translations and variations of Basho’s frog haiku. 3 Haruo Shirane, Traces of Dreams: Landscape, Cultural Memory, and the Poetry of Basho, Stanford, Calif.: Stanford University Press, 1998, p. 15. 5 Koji Kawamoto, “The Use and Disuse of Tradition in Basho’s Haiku and Imagist Poetry,” Poetics Today, Vol. 20, No. 4 (Winter, 1999), p. 709. 7 See the Bureau of Public Secrets. 8 Cheryl A. Crowley, Haikai Poet Yosa Buson and the Basho Revival, Boston: Brill, c2007, p. 57. 9 Haruo Shirane, “Matsuo Basho’s Oku no hosomichi and the Anxiety of Influence,” in Currents in Japanese Culture: Translations and Transformations, ed., Amy Vladeck Heinrich, New York: Columbia University Press, 1997, p. 182. 10 Makoto Ueda, compi. and trans., Basho and His Interpreters: Selected Hokku with Commentary, Stanford, Calif. : Stanford University Press, 1991, p. 142. 11 Koji Kawamoto, The Poetics of Japanese Verse: Imagery, Structure, Meter, trans., Stephen Collington, Kevin Collins, and Gustav Heldt, University of Tokyo Press, 2000, p. 76. 12 See Shirane, p. 14. 13 See Ueda, p. 142. 14 See Crowley, p. 57. 16 See Shirane, Currents in Japanese Culture: Translations and Transformations, p. 182. 17 See Shirane, p. 77. 19 See Crowley, p. 56. 20 See Shirane, Beyond the Haiku Moment. 21 According to classical Chinese poetics, a poem sequence is a group of poems by one poet or perhaps even by two or more poets intended to be read together in a specific order. The integrity of a poem sequence is dependent on this prescribed order of presentation. A poem sequence by a single author is sustained throughout by a single voice and point of view, and it shows consistency in style and purpose from one poem to the next. 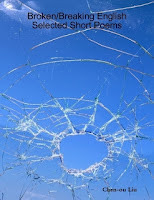 The defining characteristic of a poem sequence is that each poem must have its own value and integrity yet contribute to the artistic wholeness of the sequence while maintaining the logical progression of events.